With the Oscars now just a couple of days away, it’s finally time for me to look back on the year in film that was 2014 and reveal the films and performances that rose above the fray and became my personal favorites of the year. It was once again a great year for film in general as several iconic filmmakers returned with some career-best work, while others served notice to the entire industry with their startling directorial debuts. There was also an array of exceptional acting performances, ranging from those in typical awards season fare to those in more off-the-beaten path productions. But this isn’t just about the best films and performances of the year, as I will also be singling out those writers, cinematographers and editors who did some truly unforgettable work. While as in every year I will be listing my top ten favorite films, I feel the need to state that they are in no particular order, with the obvious exception being my singled out favorite film of the year. I would also like to pat myself on the back for compiling what is sure to be my single strangest, and sure to be most divisive top ten list possibly ever. It was certainly an eclectic year in film, and my list should certainly serve as a reminder of that. 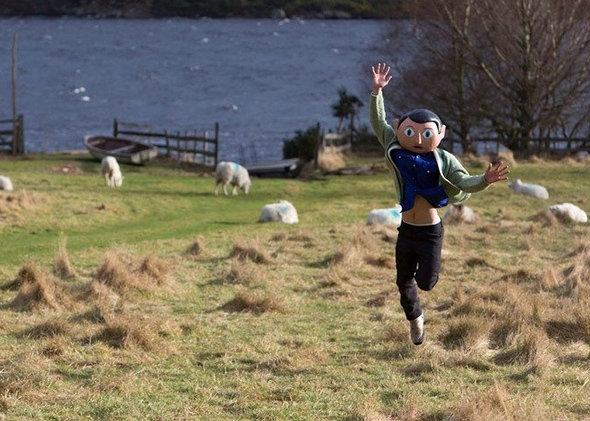 So without further ado, it’s time to look back on the year in film that was 2014. 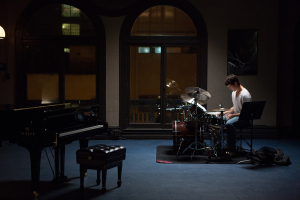 Writer-director Damien Chazelle broke into the industry in a big way with his feature-length debut Whiplash. It’s a film with an infectious energy, the likes of which is not often seen on the big-screen, and a lot of the credit not only goes to Chazelle but to editor Tom Cross and the film’s team of sound mixers. Telling the story of a jazz drummer driven to be the best in his class, Cross keeps the film moving at a feverish pitch. Each musical interlude is special, particularly the film’s final sequence where the editing and sound design mesh so well that when it’s over, we the audience are as exhausted as our protagonist. Truly incendiary work. 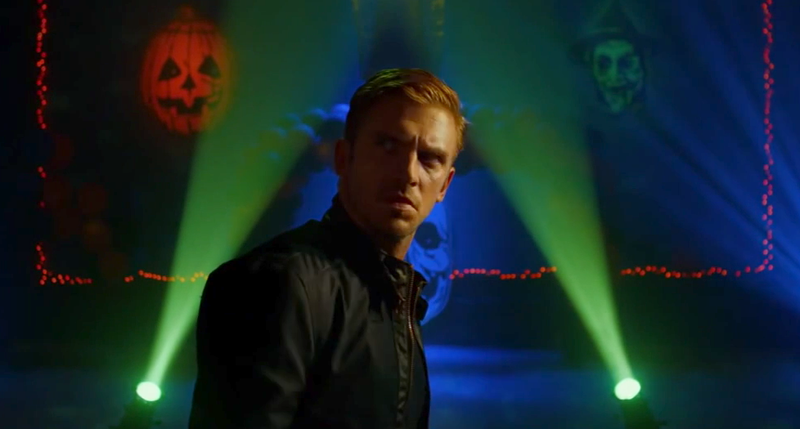 While Inherent Vice‘s Neil Young-infused soundtrack certainly put up a good fight, I simply couldn’t overlook the electronic beats of Adam Wingard’s 80s genre love letter, The Guest. Honestly, the use of Annie’s “Anthonio” was enough on its own to put it in contention, but with some other stand-out tracks from Love and Rockets and S U R V I V E, there was no film soundtrack in 2014 as infectiously unforgettable. Give it a listen, now. Already with a truly astonishing discography as part of Radiohead, musician Jonny Greenwood made his debut as a film composer back in 2007’s There Will Be Blood and ever since has been one of the best in the biz. In his latest collaboration with the great Paul Thomas Anderson, Greenwood provides an achingly nostalgic score that not only transports you back to the early 1970s, but breaks your heart in two. Don’t believe me? Check out one of my favorite tracks below. The man who won my award for best cinematography back in 2013 has done it yet again, albeit this time he’s sharing the award with an absolute legend. Bradford Young, whose career started in earnest less than ten years ago, already has a body of work that would make any director of photography jealous, and he only just came to my attention last year with his stunning work on Ain’t Them Bodies Saints. In 2014, he seemingly became Gordon Willis re-incarnated with his lensing of A Most Violent Year. From widescreen landscapes of 1980s New York City, to a shadowy homestead, to simply Oscar Isaac running, Young gives every shot that little something extra that you can’t quite put into words, but you notice all the same. Interestingly enough, the same can absolutely be said of Robert Elswit, longtime cinematographer for Paul Thomas Anderson. 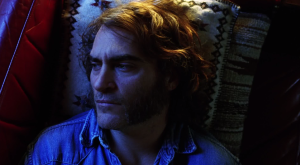 His 35mm work in Inherent Vice is quite simply breathtaking. There’s no establishing shots to be had as we experience the early 70s of stoner Doc Sportello as if they took place on a faded postcard. Close-ups are used frequently, the color scheme burns itself into your eyelids, and the slow zooms on display in the various two-shots infect you like a drug. What else would you expect from an Elswit-PTA collaboration? 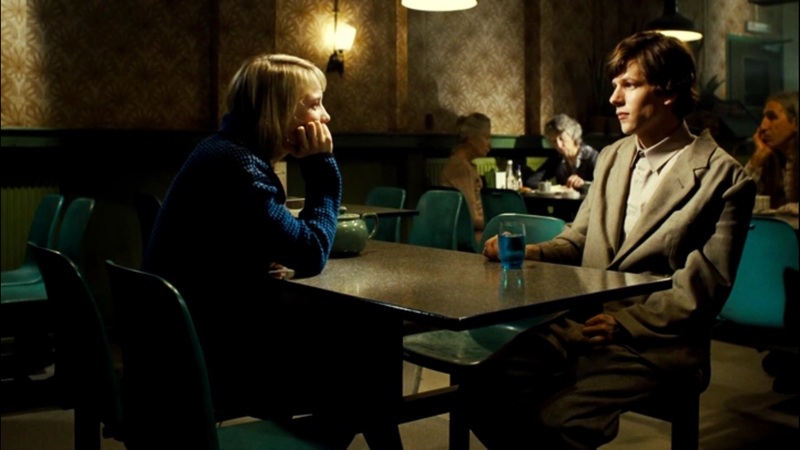 A film that just missed out on my top ten, Richard Ayoade’s The Double is a fascinating adaptation of a Dostoevsky novella about a young man whose life is up-ended at the arrival of another man who is his exact physical double, yet in personality is everything he is not. Writer-director Richard Ayoade proved in his directorial debut Submarine that he was certainly a filmmaker to watch and his follow-up only reinforces this. I honestly can’t imagine a better match in sensibilities than pairing actor Jesse Eisenberg with Ayoade and his strengths as a writer, and this is made perfectly clear in scenes such as the one depicted above. Eisenberg’s nervous energy is on full display when he’s trying to woo the apple of his eye, Mia Wasikowska’s Hannah, and Ayoade perfectly complements him by injecting an offbeat humor that is both funny and heartbreaking at the same time. If you’ve seen Whiplash, you understand why this is here. 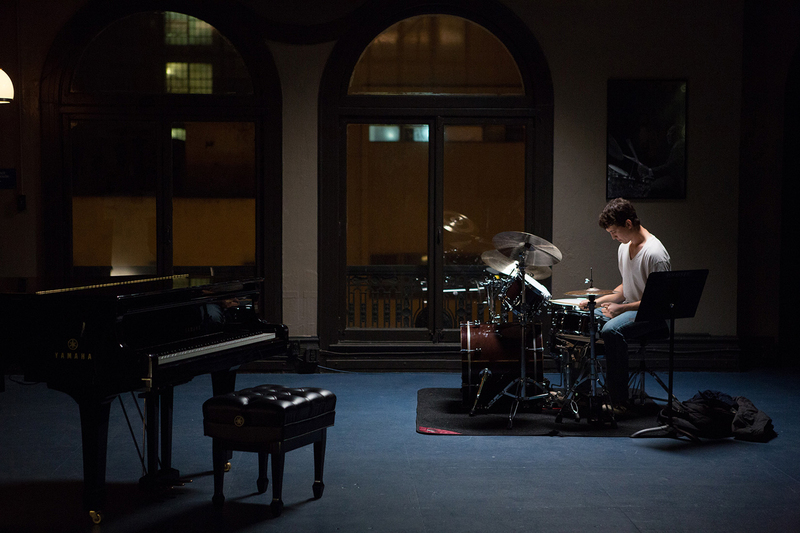 Miles Teller, J.K. Simmons and a drum set come together to deliver an emotionally-scorching final performance that proves this Damien Chazelle guy is going places. As far as I’m concerned, there’s no other scene in 2014 that even comes close. 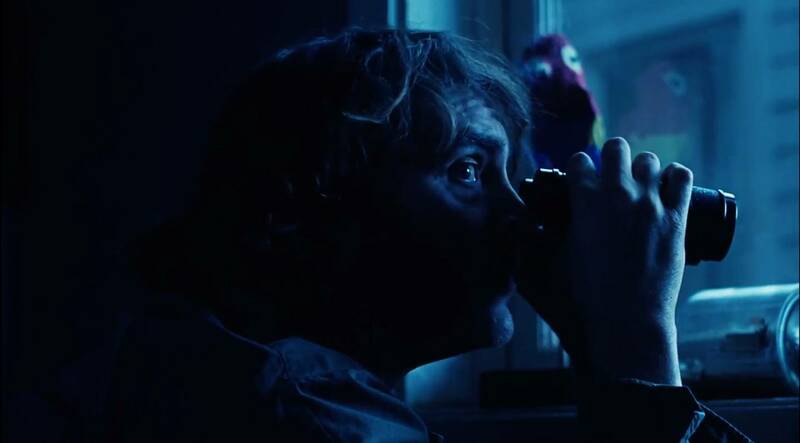 “I need your help, Doc”, whispers Shasta Fay Hepworth in the opening scene of Inherent Vice, and from that point on Joaquin Phoenix’s Doc is under her spell. Well, he’s not the only one. 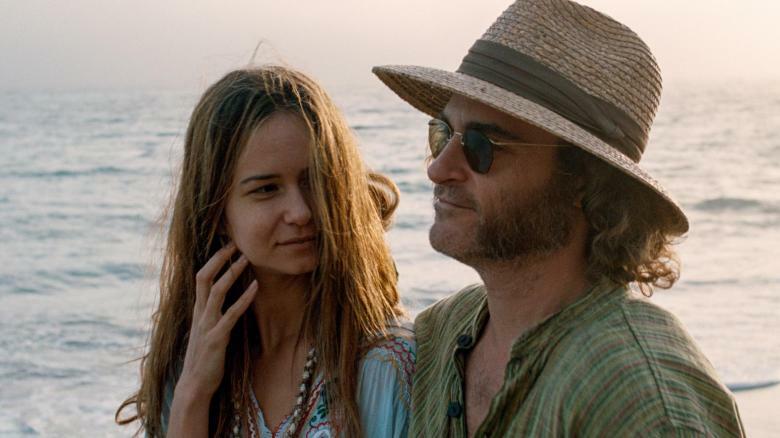 Katherine Waterston’s performance as Shasta Fay is being hailed as a breakthrough for the actress who has been looking to disappear into a major film role for quite some time, and disappear she does as the femme fatale ex-lover who gives Inherent Vice it’s emotional core. 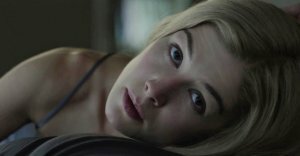 Half-way through the film Anderson puts Waterston on full display (both literally and figuratively) in an extended sequence where she returns to Doc out of the blue and seduces him (in more ways than one), and she nails it with an intense vulnerability as contradictory as a weed-smoking private eye. I simply can’t wait for her next performance. 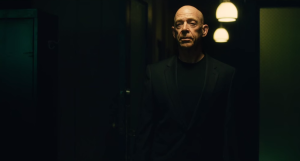 It’s rare when a category like Best Supporting Actor is dominated by one name throughout the entirety of the awards season, but that’s exactly what has been the case this year with J.K. Simmons. 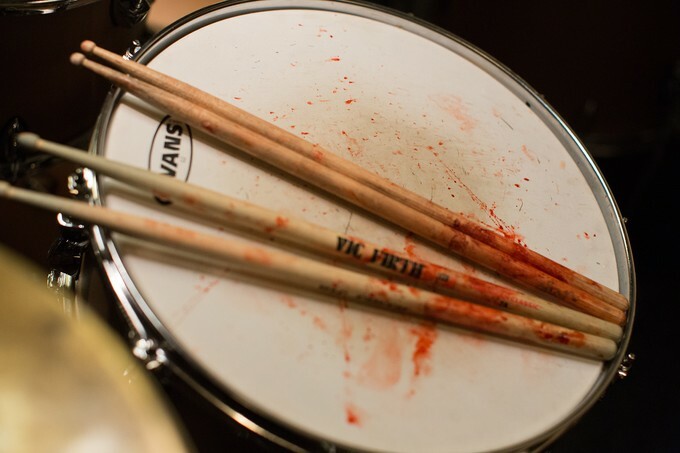 His performance in Whiplash is deranged, full of energy and a powerhouse without which the film simply could not work. While I would have loved to award an extremely underrated performance from Michael Fassbender here, Simmons is quite simply on another level altogether as Terrence Fletcher, a music professor driven to torturing his students so that they can reach their full potential. His performance is exactly the right tempo. As I revealed in my recap of the best horror films of 2014, The Babadook is quite simply the most impressive film the genre has seen in years. Anchoring the film is Essie Davis’ fearless performance as a mother struggling to raise her unhinged son who is deathly afraid of “imaginary” monsters. Well, it just so turns out they aren’t so imaginary. Davis is just phenomenal as Amelia and goes to much darker places and shows more range than most of the actresses nominated by the Academy. If there’s ever been a better argument for more female-driven films in the industry than The Babadook, I quite simply haven’t seen it. 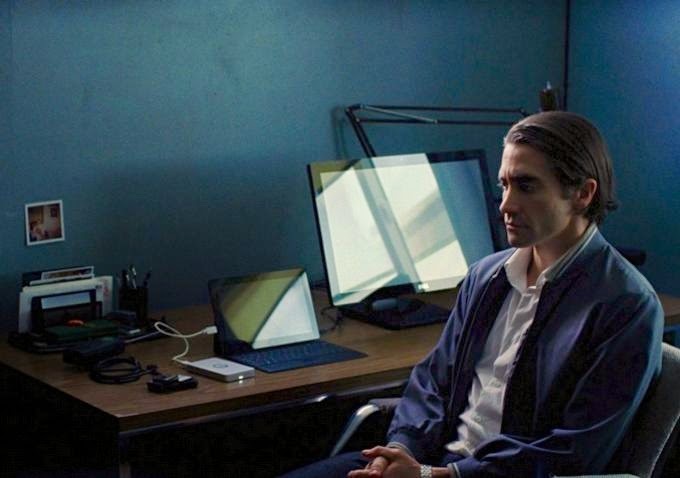 As far as I’m concerned, the single most egregious snub at the Academy Awards was the lack of a nomination for Jake Gyllenhaal’s performance in Nightcrawler. 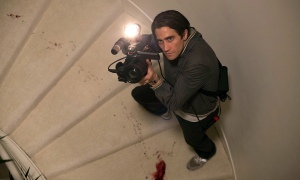 Gyllenhaal is an actor who has been doing career best work these past few years and the accumulation of that work is on full display in his portrayal of Lou Bloom, a desperate loner who strives to become the premiere freelance crime journalist in LA. Gyllenhaal is just magnetic and the further down the rabbit hole Bloom goes, the further Gyllenhaal goes in capturing his psychopathic tendencies. If you want to see acting at its highest level, check out the scene Gyllenhaal shares with Rene Russo in the Mexican restaurant. Praise Keaton and Redmayne all you want, this is the best performance of the year. Ever since Zodiac was released in 2007, David Fincher has been one of my absolute favorite filmmakers. While some have criticized him in recent years for adapting various bestselling novels that they believe to be beneath him, I couldn’t disagree more. Fincher has a way of taking each script he works with and elevating it through visual style, sound design, editing and the performances he gets from his actors. Gone Girl is just the latest example of this. 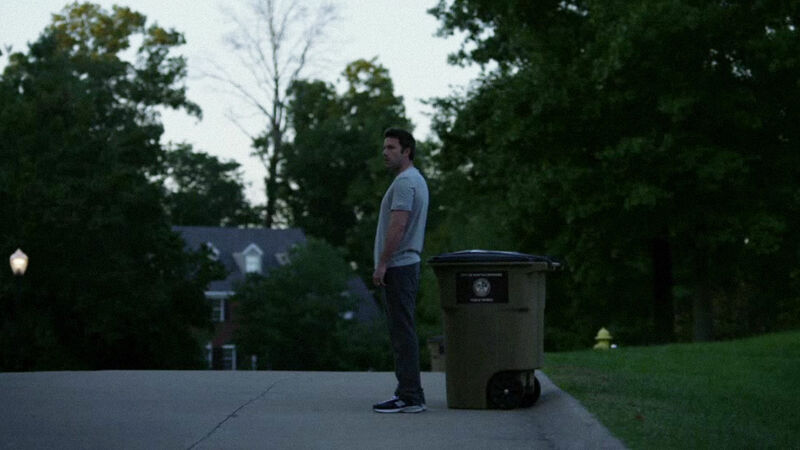 From the opening shot and darkly humorous voiceover from Ben Affleck to an absolutely bonkers ending that no filmmaker but Fincher could make work, Gone Girl is not just an entertaining film, but an effective deconstruction of modern-day marriage and everything it takes to make one work. Pike is brilliant, Affleck is possibly the best he’s ever been, and the supporting cast all bring it, but it’s Fincher that truly makes everything work. While it’s certainly not his best film, it’s just another fantastic directorial effort from one of the best filmmakers on the planet. 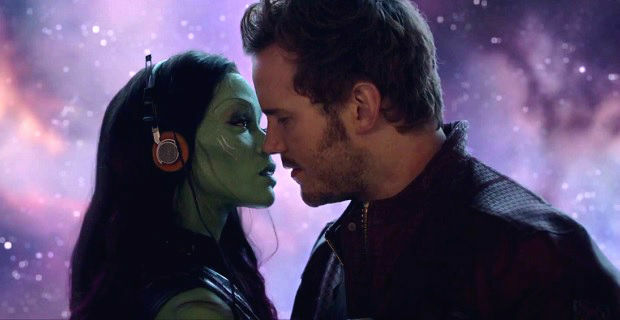 James Gunn’s breakthrough into the mainstream is Marvel’s best film to date, highlighted by a perfect cast, nostalgic soundtrack and a great sense of fun. A never-better Russell Crowe leads Darren Aronofsky’s divisive biblical tale of earth’s re-birth. The emotionally wrenching third act isn’t to be missed. Time will be kind to this one, trust me. This tale of a group of black students fighting against discrimination at an Ivy League college is the supremely hilarious directorial debut of Justin Simien. 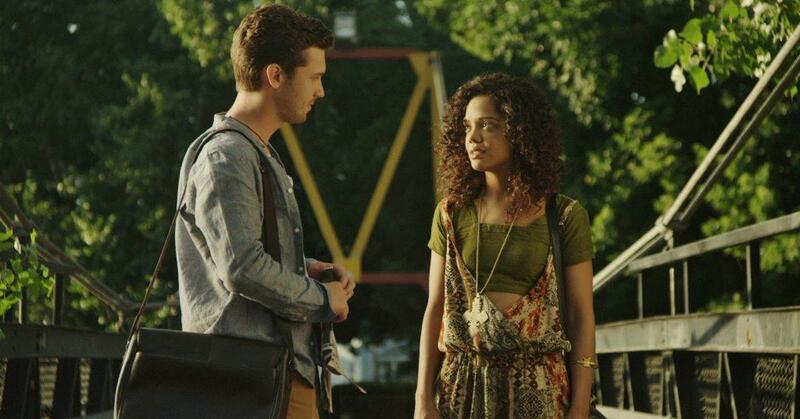 Tessa Thompson’s lead turn as the revolutionary Sam White proves she’s a star in the making. Consistently all over the place in the best way possible, Frank is centered by a hilarious yet poignant turn from the phenomenal Michael Fassbender. That last scene. I mean…damn. David Fincher’s indictment on the secrets we keep is just another fantastic film from the auteur. Every cast member does their part, even Tyler Perry. If that’s not proof of Fincher’s greatness, what is? Jake Gyllenhaal. Jake Gyllenhaal. Jake Gyllenhaal. It’s like Beetlejuice, except better. 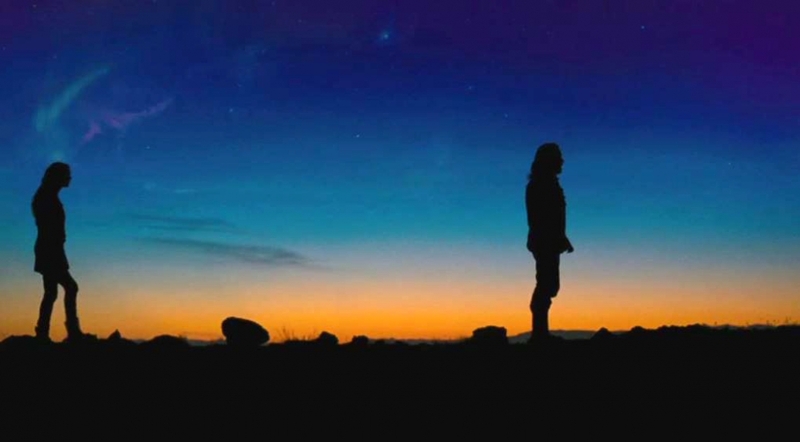 J.C. Chandor’s realization of all his talents, A Most Violent Year is a throwback New York fable wrought with tension from the first frame to the last. Oscar Isaac proves yet again why he’s among the best actors working today. My first and only experience with the Dardenne brothers so far, Two Days, One Night is a fascinating study in restraint anchored by a mesmerizing Marion Cotillard. A film with a unique rhythm all its own. Unforgettable. An actor’s duel for the ages between Miles Teller and J.K. Simmons. One of the most breathtaking, visceral big-screen experiences in ages. Damien Chazelle, “good job”. There never has been, nor will there ever be, anything quite like Paul Thomas Anderson’s stoner dream Inherent Vice. Anderson adapts Pynchon and it’s a match made in nostalgia heaven. While some still don’t know what quite to make of it, this is a PTA film, which means in a few years’ time audiences will finally catch up to it and it’ll be a classic. Well, it already is. “Eggs break, chocolate melts, glass shatters”, another PTA masterpiece. And how ’bout that, the third straight year a film starring Joaquin Phoenix tops my list (The Master, Her). Good luck making it four, Woody Allen.